Participants of the meeting in front of the ZSM. 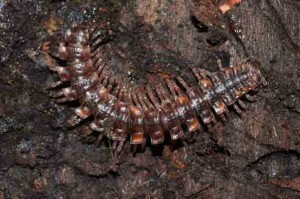 From March 21 to 25, a meeting took place at the ZSM, sponsored by the Biodiversity Synthesis Center and the the Species Pages Group of the Encyclopedia of Life, to update the classification and species catalogue of the millipedes (Diplopoda) by linking various sources of information such as the Global Myriapod Information System. For more information see this post at the Encyclopedia of Life Blog. This entry was posted in Arthropoda varia, Diplopoda, ZSM on 23. April 2009 by Stefan Schmidt.